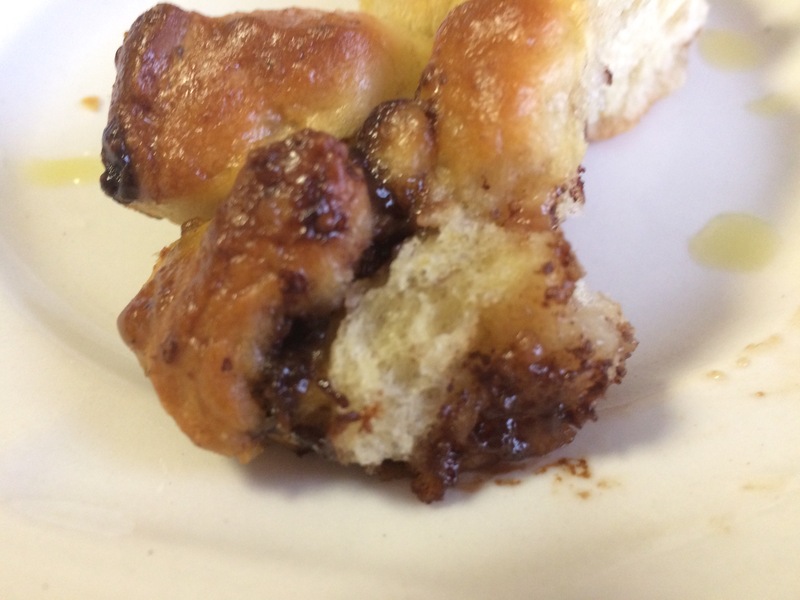 I do not usually like candy in my challah, not even chocolate chips. But for the challah we would be taking on our Thanksgiving vacation with us, I wanted something decadent…so…banana in the dough and a filling of chopped bananas and heath bar pieces. I warmed it before we ate it, and it was truly a treat. Sweet enough, but not too sweet. Just right. One of my birthday presents was reusable plastic bowl covers. No more plastic wrap on the bowls! 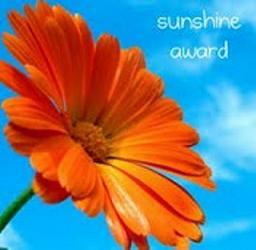 Each step I can do to reduce my environmental impact makes me happy! 1 cup crushed heath bar pieces. In a large bowl, mix the water, yeast, honey, sugar and brown sugar. Place in a warm spot and let sit for about 15 minutes, until the mixture begins to foam. In a small bowl, mix 2 eggs, oil and mashed bananas. Add to the yeast mixture. Add the flour and salt. Continue to mix and add more flour if necessary so the dough is no longer sticky. Place the dough on a floured workspace and knead for about 5-10 minutes and form into a ball. Meanwhile, clean the bowl and soak in warm water. Dry and oil the bowl. Place the dough in the bowl and roll it in the oil. 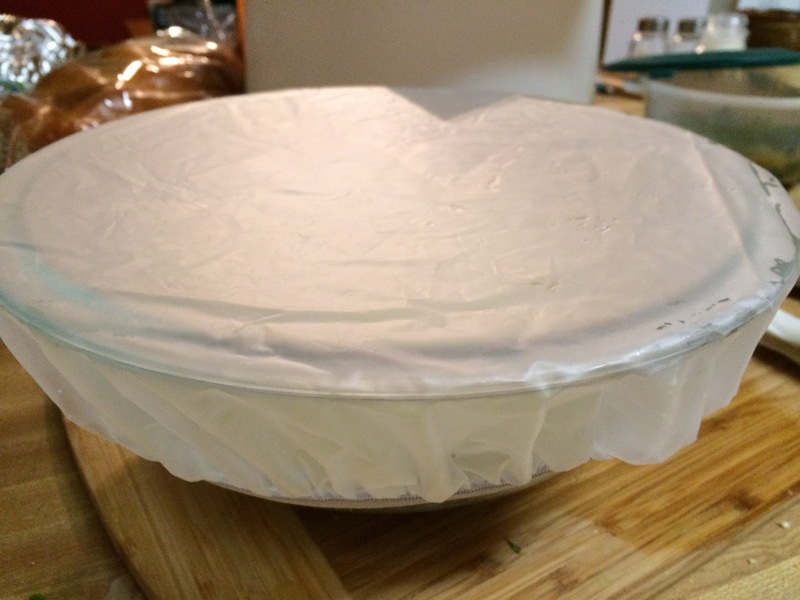 Cover with plastic wrap or a reusable plastic cover. Place in a warm place and let rise for 1 – 2 hours (or overnight in the fridge – my favorite) til the dough has doubled in size. Punch down the dough, then knead in the chopped banana and 1 cup heath pieces. 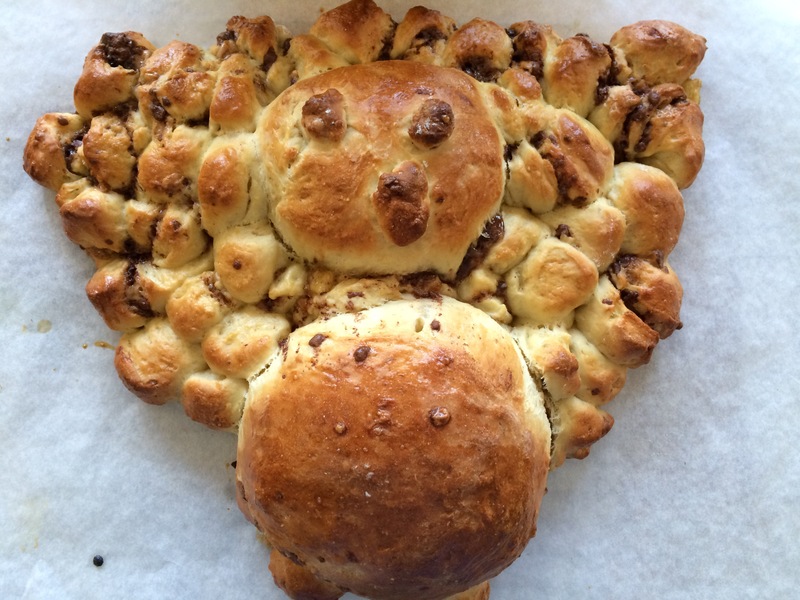 Divide the dough and braid as you desire – or make a turkey :). Place on a parchment covered cookie sheet. Cover with plastic wrap or a damp clean dishtowel. Let rise for another 30 minutes. Meanwhile, preheat oven to 350F. Beat the egg with 1/2 Tbsp water and brush over the dough. Bake for 30 minutes or until the internal temperature is around 180F.